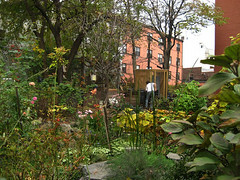 6/15 Green is a community garden dedicated to a cleaner and greener neighborhood through the maintenance of a community space open for cultural, agricultural, and educational purposes, as well as providing green space for the public. Local residents are encouraged to drop off organic waste during open hours, which is composted and utilized on-site. Composting workshops are offered to community garden members and non-members alike. Other programs offered at 6/15 Green include a Children's Creative Workshop, musical performances, alternative energy education, and many others, all of which are listed on their calendar. Love & Peas Community Garden | Go Green, Meridian! 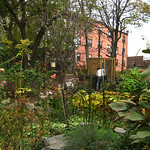 Andrew Feb 2010 "I became inspired to involve myself in the Bushwick community and compost!" 2 people discovered this site because of this map. Did you?